In its attempt to clean up search results Google has released a new feature: the ability to block the websites you don’t want to see. Google, the search giant has now made it an official feature. Whenever you head back to Google after checking out a search result, it will display an option to block all results from that domain. Once a website is blocked, you can either manage your blocked websites by undoing them or keeping them as blocked. Make sure that you are logged in to your Google account in order to save a blocked website. Search results with blocked results will display a message saying how many results were blocked. Google says it is not “currently using the domains people block as a signal in [search] ranking,” but that it may utilize it in the future. 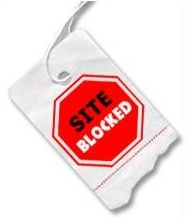 Don’t be surprised if blocked search results become a key component of searching in the future.